This is a tiny sample of some new material I have been writing for a new album, which I have been performing alongside my work on Joni Mitchell. This project is under wraps for now, and although I’d be really excited to share more about it, I mustn’t. So for now, I hope you enjoy this small excerpt, and this one too. 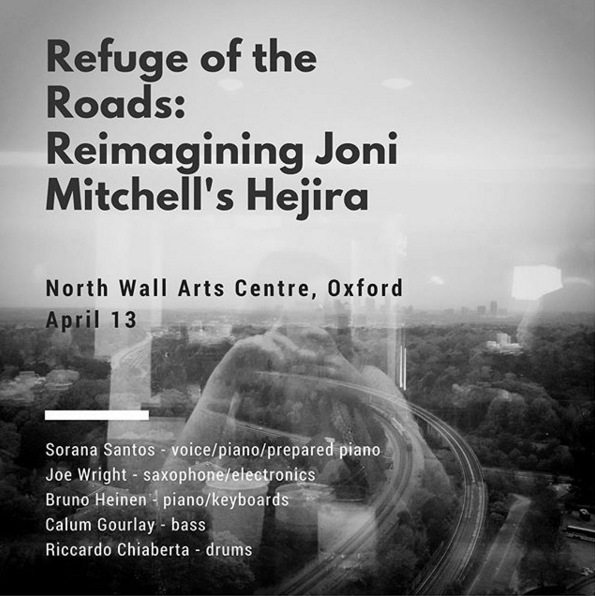 On the 40th anniversary of Mitchell’s Hejira, I recreated the 4,200-mile solo road-trip on which this seminal album was written - which you can read about here and here - and returned to create a collage work based on the album, which premiered at Oxford Contemporary Music… and whose fate as either a release or touring project is yet to be determined. You’ll have to catch it live to hear it for now, or watch this. While I bring these other two projects to completion, I have been enjoying a little project of my own that brings together my love of playing solo, and of B-side, low-fi, and last-track aesthetics, which I talk about in this blog post. There are some new songs on here, some covers, and generally a mix of things you’d expect to hear last on a teenage mixtape. This was a multimedia work consisting of an album, an audiobook, and a book of poetry, scores, and illustrations exploring the appropriation of contemporary music techniques to songwriting and poetry. It was released via Nova/Universal in conjunction with Lazy Gramophone Press and toured with funding from Arts Council England. The distribution deal is over so I’m afraid you can’t get this in the shops any more, but head to my merch section in Bandcamp if you’d like a copy of the book or CD. Swansongs (EP sample) by Sorana ! I was set the challenge of writing and recording a solo EP in two weeks… and this was the outcome. It mainly exists in CD format so head to my merch section in Bandcamp for a copy. I loved working on this project so much. I don’t usually work in theatre but when I received this script I was so taken with it that I couldn’t say no. This was the soundtrack to then Writer-in-Residence Tracy Keeling’s Pawnography which ran at The Rose Theatre, Southbank and which won a Fringe Award for Best Play. The brief was to create music that could be performed during the play by the actors, and which could stand alone as an EP. I bought an out-of-tune shruti that couldn’t be tuned any further and prepared piano (which can also detune notes) which was a challenge, but see what you think!